Lavender oil is the most widely and one of the most frequently used essential oils today. It is best known for its calming effect, but it also has various other applications, such as cleaning cuts. It is effective in skin irritation, irreplaceable for treating bruises. Lavender has a beneficial effect on your skin and hair. It serves even as a disinfectant, promotes better circulation, and also affects respiratory problems. It is appreciated in phytotherapy and has a very pleasant smell. Lavender oil has a smell that calms, relaxes and leads to a physical and emotional balance. This natural preparation is obtained mainly from the flower of the plant through the steam distillation process. Traditionally, essential oil from lavender has been used for centuries. It has also been used in making perfumes. It is very important in aromatherapy and many aromatic preparations and combinations have been made with it. Learn more below. Essential oil of lavender is a mild antiseptic, analgesic and sedative. It is also one of the few essential oils that can be lubricated directly on the skin. Note: it is not recommended, however, when it comes to children under the age of five. We will mention a few examples of the practical application of this wonderful and fragrant natural remedy. Rub 2-3 drops of lavender oil on the palms and then breathe in the scent. This will affect the glands in the brain (amygdala) that are responsible for your emotional state, and calm your mind. Then, you can rub the lavender oil to calm your tired feet, temples, joints (anywhere on the body) for the instant relaxation of the organism. This natural remedy is great for places like airplanes or metro. It allows you to build your own personal soothing oasis, which will not hinder the environment. You can also prepare a soothing lavender bath. It will also help you to fight your muscles and relieve stress that has become our everyday life in modern society. 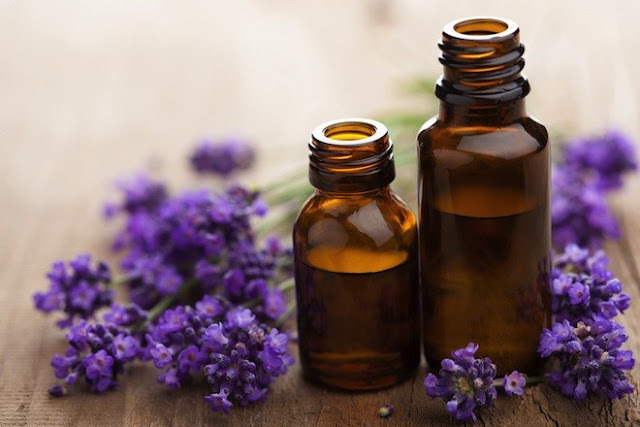 Pour 6-8 drops of lavender essential oil in the bath, also add milk or bitter salt. Essential lavender oil in this prepared bath will relax you, remove pain and also nourish your skin. Lavender oil has a wide use in the management of respiratory problems, including flu, cough, bronchitis, asthma, colds, laryngitis, ulcer inflammation, sinus congestion. It can be used in the form of steam, or direct application to the skin in the area of ​​the neck, chest and back. It is used in various evaporators and inhalers that are normally used in such problems. Using lavender oil facilitates easier removal of the slime, releases respiratory pathways, and accelerates recovery. With it, the body is allowed to naturally eliminate the phlegm and other unwanted materials. The steam of lavender oil also has antibacterial properties and thus helps in the treatment of respiratory tract infection. Fill the bowl with water and add six to eight drops of essential oil to the lavender. Place the lighted candle in the space provided below the container. This is one of the best ways to use essential oil from lavender. Apply in the bedroom and living room, and it is especially good to use this way when you suffer from a cold or you feel bad. Keep the container away from the open windows. To get the desired results faster, use hot water. According to research by dermatologist and aroma therapists, essential oil from lavender is one of the most important products for the treatment of acne. They occur mainly in puberty, but may also be a problem in later life, although much less often. It is a very embarrassing condition, which is characterized by red wounds on the face, and is caused by a bacterial infection in the sebaceous glands. When the sebum is not excreted properly from the sebaceous glands on the face, then acne occurs. In the puberty, increased sebum production occurs, and therefore this age group is endangered. It can lead to scarring on the skin, if you do not treat them properly. Ethereal lavender oil prevents bacteria that cause an initial infection, helping to regulate sebum secretion. It can prevent the development of scars if you treat acne that already occurred. If you add it to other creams you use for your skin, you can prevent the formation of new acne, and accelerate the process of skin recovery. Lavender palm oil can be your natural way to fight this persistent skin disorder. In addition to this application, lavender essential oil is used as a natural remedy against insomnia. Lavender causes sleepiness, and using this preparation comes to regulating regular sleep. It is used by placing a few drops of scented oil on the pillow. It has a very soothing effect, so it can help you fall asleep more easily. It also helps you sleep better and have undisturbed sleep. Essential lavender oil is known as an excellent remedy for various types of pain. It works on muscle inflammation, rheumatic pain, sprains, unpleasant back pain, and others. Regular massage can also help relieve pain in the joints. New studies show that by adding lavender to oxygen in the postoperative process, patients experience far less severe pain. Unlike them, patients who received pure oxygen felt pain more. Massage is a very good way to relieve pain and relax the whole body and mind. Lavender oil is quickly absorbed into the bloodstream. Always dilute with water, and you also need high-quality vegetable oils. Take five drops of lavender and ten milliliters of another vegetable oil. If you massage a baby or an older person, use considerably smaller amounts, you need a drop or two. You can use lavender liners to relieve pain. Add 6-8 drops of lavender oil to the hot water bowl and mix. Dip the cloth lint and place it in a painful place. It is good for muscle inflammation, or spasm. Millions of people suffer from headaches and migraines and are working hard to find a cure for a problem that has a terrible impact on the quality of their lives. According to new medical research, ethereal lavender oil can be just the solution they are looking for. According to the study, people who are struggling with migraine came to a significant reduction in the intensity of pain when they breathe vapors of this beneficial oil. Use only fifteen minutes in the day. Probably the most effective natural treatment for headaches is when we mix mint and lavender oil. Then the resulting mixture is rubbed on the back of the neck and the temples, and it is inhaled. It is usually enough to put 2 drops of the mixture on the palm, which is then rubbed into the necessary place. Essential lavender oil has also been found in hair care, as it has been proven to be very effective against hair lice. It is also used against hair loss, in the treatment of baldness in both sexes, autoimmune diseases in which the body discards its hair follicles. Studies have shown that more than 40 percent of people who treated baldness with regular lavender oil by rubbing it into the scalp resulted in its re-growth. This is a great solution for everyone who has this problem. Therefore, ethereal oil of lavender is also recommended as a preventive measure for male baldness. In case you burn yourself in the kitchen or your skin was exposed to the sun more than you need, use this natural preparation. First cool the burns with liquid water, then place a few drops of beneficial lavender oil on them. In case of severe burns, do not wait long, but be sure to contact your doctor immediately. The specific scent that the lavender essential oil has is a powerful agent against various types of bugs. In the first place they are unpleasant mosquitoes, moths and the like. Apply a little lavender oil to the skin when moving away from home to prevent irritating insect stings. If the mosquito bites you, it will help you to reduce itching and pain caused by biting. It has an extraordinary effect. Cut lavender or buy dried flowers of this plant. Cut stems together with flowers about 15cm or longer. Leaves and young stems can be used to make the oil, but the old woody stem should be avoided. You can use already bloomed scented flowers or buds. If you use a fresh plant, first wrap it in a cloth and allow it to dry well in the shade. You will get a better flavor and you will avoid it crumbling or breaking. Brush the twigs upside down in a dry, warm place. Exposure of lavender to sun will accelerate the process of drying but also lead to loss of aroma. The drying process will take about two weeks. Crush the plant with your hands, or any clean object. If you use buds, open them with a knife or hands. Make sure the bowl (jar) is completely clean and dry. Pour high-quality vegetable oil over lavender. It must cover the whole plant, but leave about 2cm to the top of the jar to spread it smoothly. You can use almond or olive oil as well. Make sure that its smell does not exceed the smell of lavender. Cover the jar and leave everything standing in a sunny place. You will need about 48 hours to get a noticeable smell, leave it for three to six weeks. If you do not have enough sun or time then go to the next step. Heat the oil on steam, but you must strictly take care of the temperature. It must be 39-49 degrees Celsius. Put the gauze on the bowl and pour the oil and the plant mixture over it. You can use the remnants of the plant in the garden as a fertilizer. If you want to get a preparation with a somewhat stronger intensity, you can repeat the process. Put in it a new plant and repeat the exposure to the sun / heat. You can repeat the process up to eight times. To increase the shelf life, add a few drops of vitamin E.
Pour oil into a dark jar or bottle and keep it in a cool and dark place. In this way it can last for months. 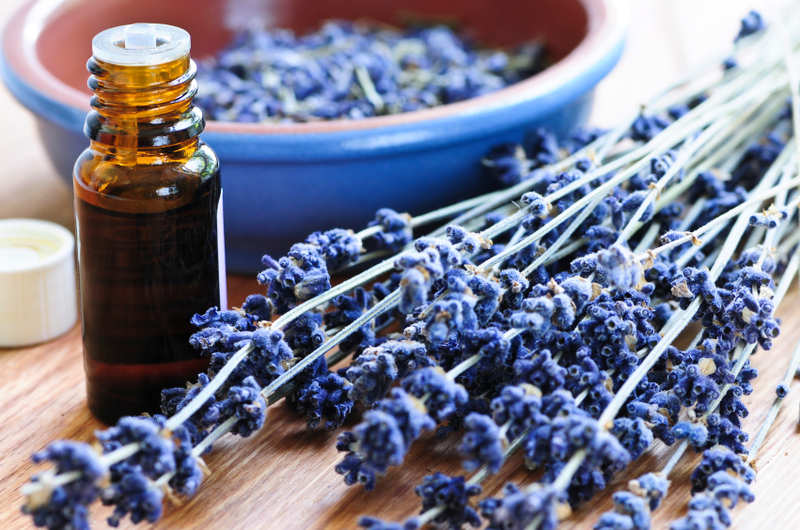 Today you can easily find lavender oil in herbal pharmacies. Its price ranges from 4 to 5 euros, and that is for a 10 milliliter bottle. It is also possible to order it online, making shopping even simpler. It is assumed that you first inquire about the product and the manufacturer. It is important to get all the necessary information in order to know the extent to which it is dosed and the like. Personally I adore the lavender smell, I feel its soothing effect. I always have a couple of bottles in the house, and it's also in pots. I recommend it to everyone because we need something natural that will mitigate the harmful effect of this crazy rhythm of everyday life. It is definitely friendly to the skin, apply it freely to the place of insect bites, pimples, smaller cuts. Use for wounds and burns, but only after the burned spot is cooled down with running water. A few drops of lavender oil in a body lotion after sunbathing will especially refresh you. Let us know how much you like lavender oil. Do you make it yourself or buy it as a finished product!